The Connecticut Center for Advanced Technology suggests that Connecticut continues to be a leader in hydrogen fuel cell technology. These energy systems have been growing more popular in recent years as they can produce large quantities of electrical power without also generating harmful emissions. 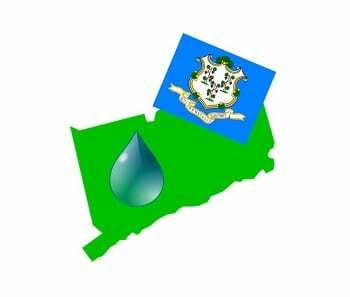 Connecticut has quickly established itself as a leading power in the development of fuel cell technology and the state’s fuel cell industry has been enjoying significant growth in recent years. Connecticut is home to two of the largest fuel cell developers in the world. These companies have been supported by state policies, which have helped them thrive over the past few years. The companies have also formed deals with several organizations throughout the world, delivering hydrogen fuel cells to new markets beyond the United States. Both companies are likely to continue seeing strong growth as Connecticut shows more support for the advancement of fuel cell technology. During the recent Fuel Cell Seminar & Energy Exposition, which was held in Connecticut, industry participants outlined plans to find ways to reduce the cost of hydrogen fuel cells. The energy systems are notoriously expensive, as they make use of platinum. Industry participants also want to make hydrogen fuel cells more efficient, which would improve their standing in the auto industry and other sectors. In order for the fuel cell industry continue to grow, Connecticut must expand its hydrogen fuel infrastructure. Without such an infrastructure, fuel cells have limited appeal. The auto industry has shown a great deal of interest in hydrogen fuel cells because of their ability to generate electrical power without producing harmful emissions. Vehicles using these energy systems are more environmentally friendly than their conventional counterparts. Few automakers have launched these vehicles in the commercial market, but a growing number of companies are showing support for fuel cells because of their capabilities and environmentally friendly nature.